Advances in technology have changed every aspect of how we live, including law enforcement. CPD has embraced technology to help us be more predictive in our deployments of police officers, proactive in our interaction with the community, and faster in our response to criminal incidents. In early 2017, the Department launched Strategic Decision Support Centers in districts that have presented historical challenges with violence. These centers include predictive crime software that helps district leadership make deployment decisions, additional cameras, gunshot detection systems, and mobile phones to officers in the field who receive real-time notifications and intelligence data at their fingertips. 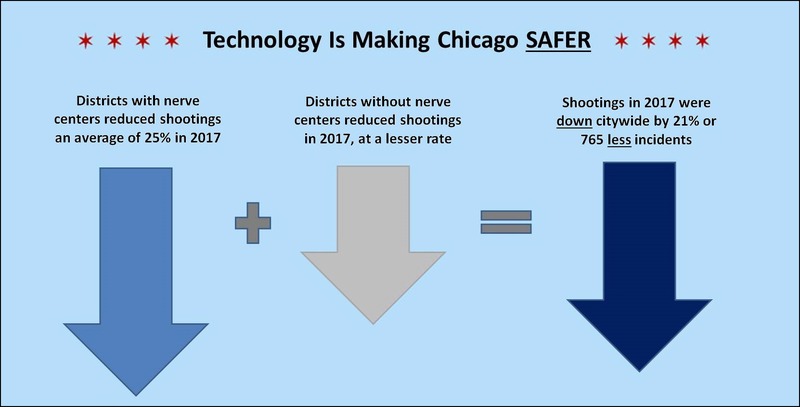 Early results have been promising, as districts equipped with this technology have shown an average gun violence reduction of 25% in 2017, outperforming districts not equipped with the technology. In 2018, these nerve centers will be expanded to six additional police districts. As we continue to implement the latest technology, our officers will be better equipped to provide outstanding service while also reducing crime. It’s how we make CPD better for everyone. Strategic Decision Support Centers in districts with historical violence (6,7,9,10,11,15) – Provides districts with greater intelligence and reduces response times, leading to a 22% reduction in shootings in these districts. Expanded crime camera systems (6, 7, 9, 10, 11, 15) – Increases the chance to solve crimes by capturing incidents on camera. 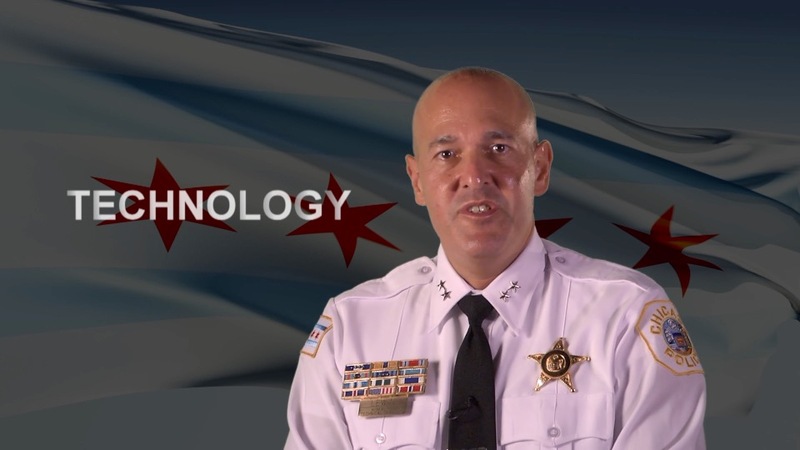 Launch of CPDTip.com, a mobile application that accepts crime tips, including photos and video – Provides Chicagoans the opportunity to submit anonymous crime tips to CPD – since its launch in April 2017, the site has received over 3000 tips.